Think twice about the following projects, however, as they may not add value to your house: above-ground pool; ceiling fans; garden pond; and light fixtures. •Remodel with mass appeal in mind. Potential buyers are usually attracted more to neutral, mainstream design. •Don’t go cheap when it comes to construction. Use durable, quality materials. If you’re a do-it-yourselfer, honestly evaluate your ability to do it right. •Don’t remodel in a different style from the rest of the house. Additions and improvements that look “tacked on” may detract from a home’s appeal. •Turning a bedroom into a bathroom is a mistake – it reduces the number of bedrooms, a chief selling point. •Don’t do a $30,000 kitchen remodel in a $100,000 house – unless you plan to continue living there. It is a waste of money. You may want to add to or improve your landscaping while you’re at it. According to a study conducted by Money Magazine, landscaping may be the best investment to improve a home's value. The study found that well-planned, attractive landscaping was estimated to have an actual recovery rate of 100 to 200 percent higher than a kitchen or bathroom renovation. 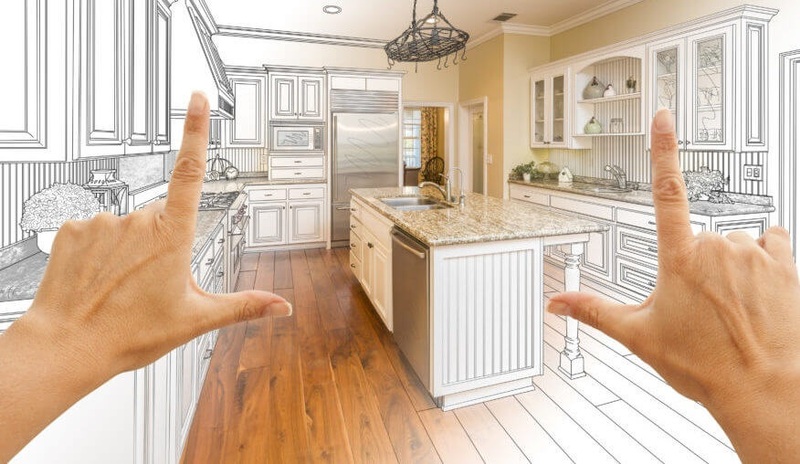 For an in-person evaluation of what features may make your home's value increase or appeal to buyers, call us at (410)647-2222.